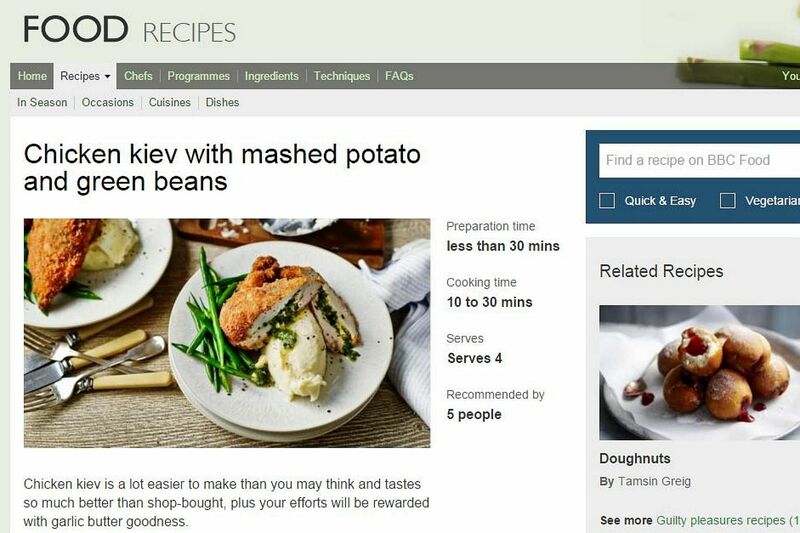 Foodies and fans of the BBC's online recipes were able to breath a sigh of relief on Tuesday (May 18), after the British broadcaster amended plans to close its popular BBC Food website. 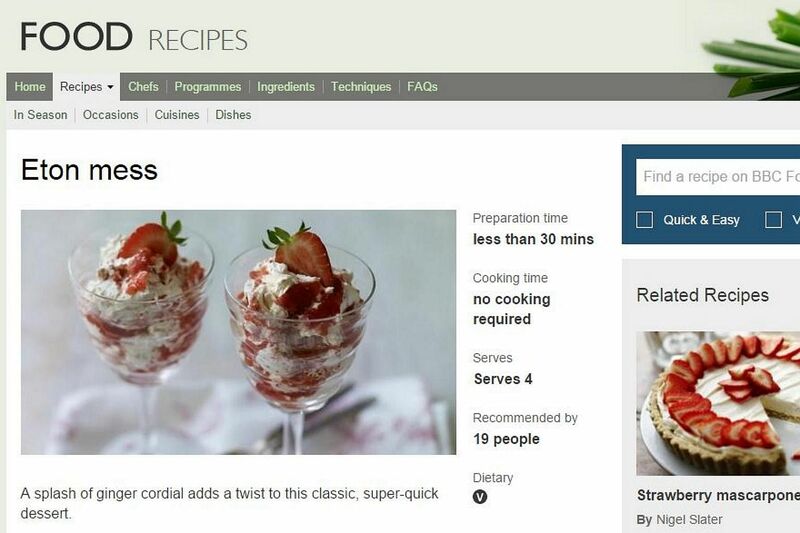 Instead, the existing free online recipes - all 11,161 of them - will be moved to the BBC Good Food site, which is owned by BBC's commercial arm BBC Worldwide. The BBC had announced the compromise following a social media meltdown and a petition, which garnered more than 160,000 signatures, calling for the site to be maintained in its current form. 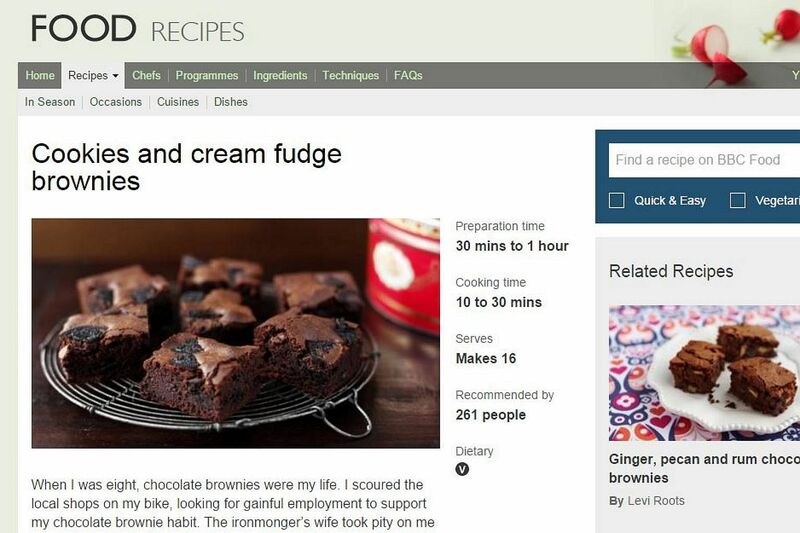 Not a regular user of the BBC Food website? Here are 10 must-try recipes. 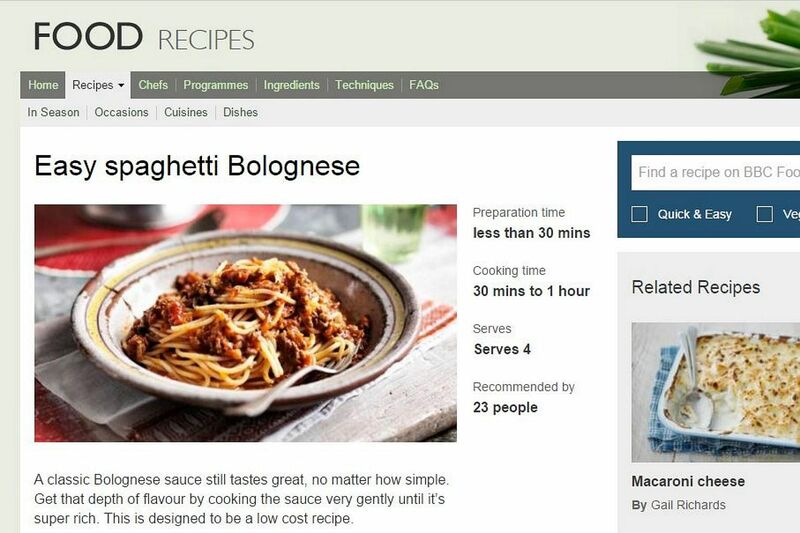 There are 14 variations of this Italian grandmother's classic listed on the site, although the easy spaghetti Bolognese recipe - made with minced beef and dried spaghetti - appears to be a firm favourite with those keen to whip up a fuss-free, post-work meal. Full recipe here. Indian food made easy thanks to British food writer and TV chef Anjum Anand, who recommends whole spices and green chillis for added flavour that's not overly spicy. Good for a low-fat sharing dish at a dinner party for four to six. Full recipe here. 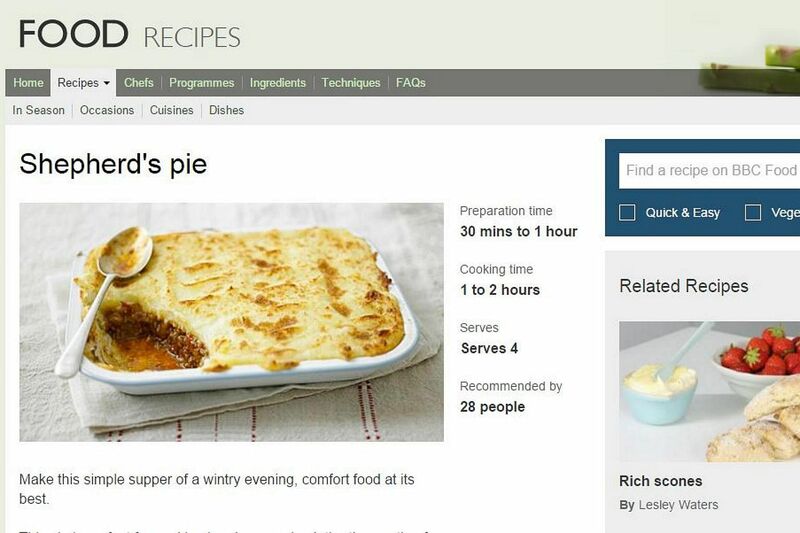 The ideal comfort food on a cold day, the basic BBC recipe for this meat pie with a mashed potato crust features minced lamb and is perfect for cooking in advance. Or for more variety, other recipes advocate substituting lamb with parsnip, and to include grated hidden veggies. Full recipe here. 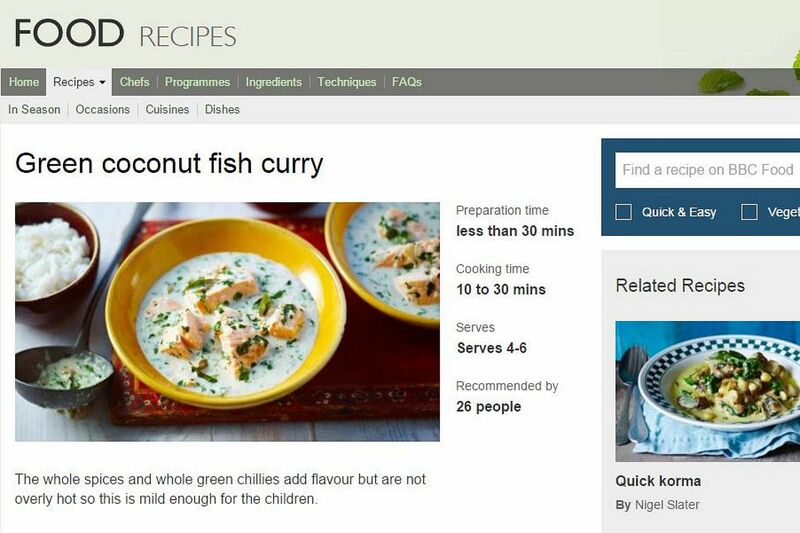 Made popular after its introduction to Britain in the 1970s, the BBC's recipes debunks the myth that it is hard to prepare. Chicken breasts are traditionally pounded flat with a rolling pin, rolled up with herb butter, coated in egg and breadcrumbs then fried. Full recipe here. 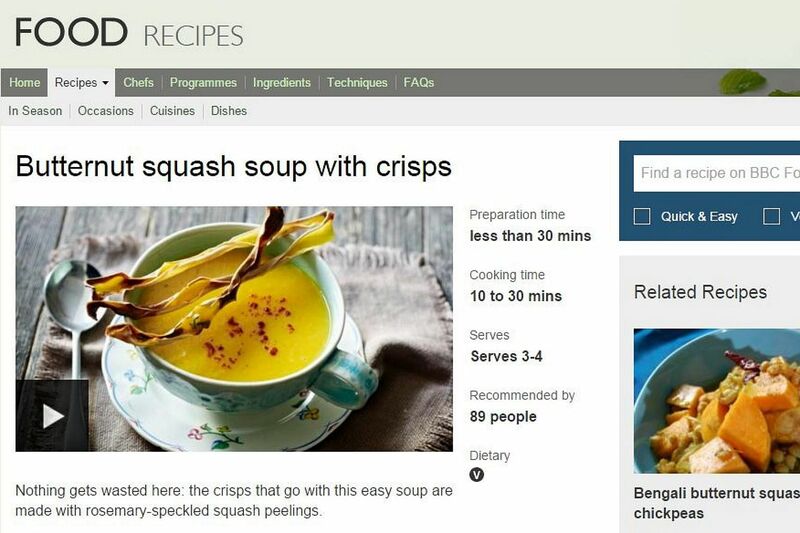 Promoted as an economical and wholesome option that goes well with bread, 55 different recipes for a vegetable soup are listed on the BBC's site. Most popular: a butternut squash soup with crisps from acclaimed British cookery writer Nigel Slater, and a "good vegetable soup" packed with greens. Full recipes here and here. 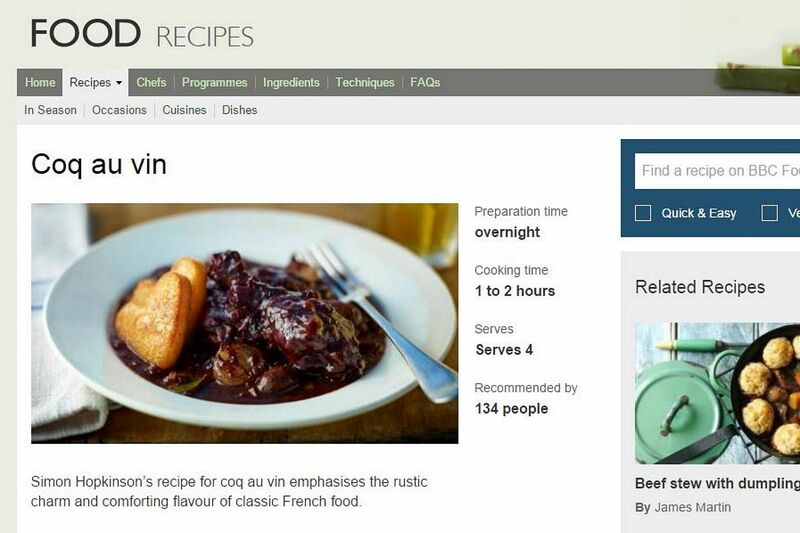 The quintessential French dish of slow-cooked chicken in wine, the BBC's rustic recipe calls for quality red wine (Pinot Noir), large chicken joints (thigh or leg), good white bread and boiled or steamed potatoes. Full recipe here. Whipped cream, store-bought meringue and strawberries make for a super quick fix for the sweet-toothed. A splash of ginger cordial is added for a twist to the traditional English dessert. Full recipe here. Forever the hit with children, this particular recipe for the baked dessert square - with a texture between a cake and a soft cookie - was inspired by British model-turned-baker Lorraine Pascale's childhood memory of earning money to fuel her chocolate brownie addiction. For added decadence, Pascale suggests sprinkling the brownies with honeycomb. Full recipe here. An ever-present among the top recipes on the site, this moist, fudgy and chocolate-y confection has been recommended by over 1,000 people. 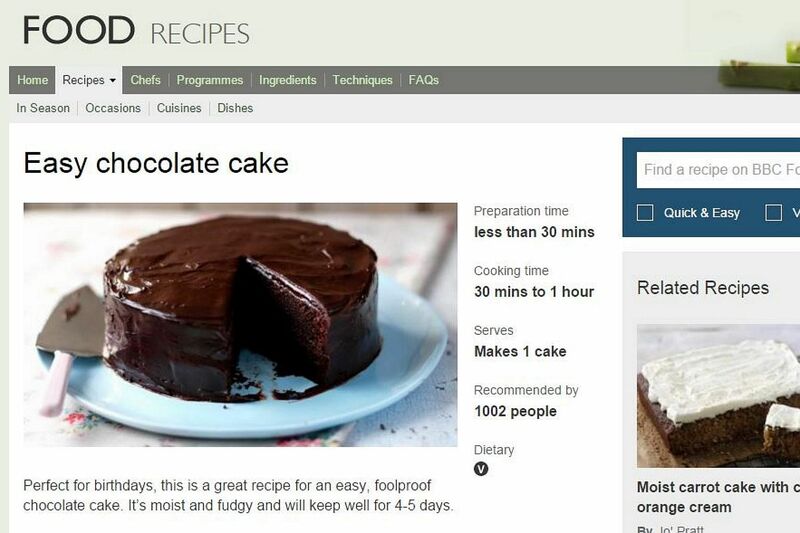 The recipe is also supposedly foolproof and produces a cake that can keep well for up to five days. Full recipe here. 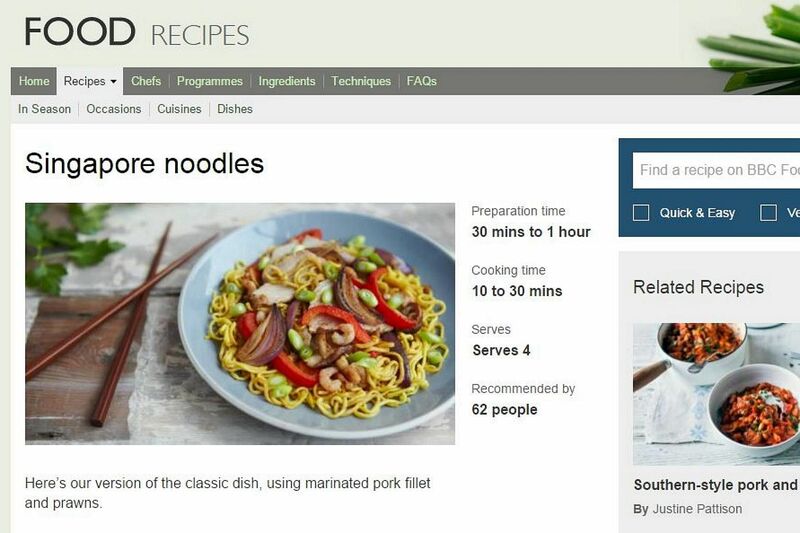 For a taste of Singapore, the BBC site contains several recipes for "Singapore noodles", which is purportedly popular in Hong Kong restaurants and American Chinese cuisine. This particular one, which claims to be a rendition on the "classic dish", uses marinated pork fillet and prawns with fine yellow noodles. Full recipe here.